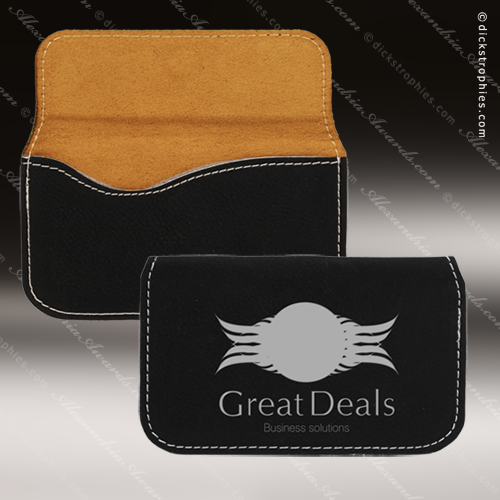 This leatherette soft business card holder has the look and feel of leather at a much lower price point. Your personalization on the front flap, the back, or both shows in silver for a stunning contrast and the top-stitching around the edges provides a finished look. Packaged in a black gift box, this card holder is a gift, promotional item or incentive that is as practical as it is beautiful.